It does not matter who you worship, where you come from, why you think certain things are right or wrong, or what your beliefs in sensitive topics like politics are. Chances are, people who can be said to be of the same racial or geographical category as you, have a unique recipe for fried chicken. 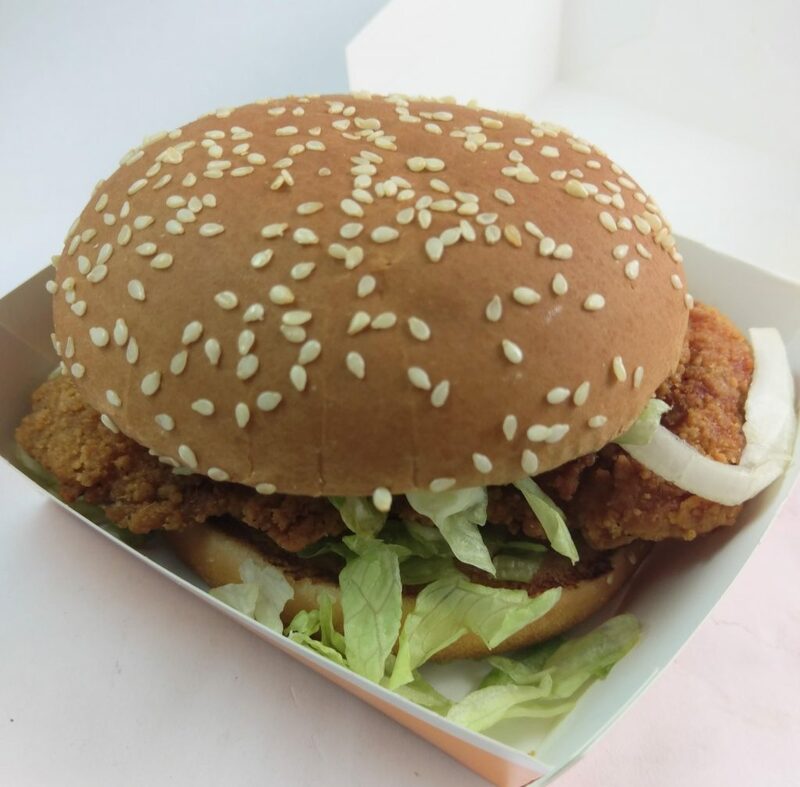 Sharing the universal trait of fried chicken and poop, McSpicy is the most Iconic Singaporean burger. Based on user up-votes, one reddit thread on r/Singapore even had the McSpicy as THE most representative dish of Singapore. In fact, the votes at 130 beats out the second highest vote calling out Chili crab as a hoax (52 votes) and even far beyond what non-Singaporeans would consider representative dishes, like Hainanese Chicken Rice, Laksa or Bak Kut Teh. A video by Attache mentioned that recommendations for what food to eat in Singapore had McSpicy at the top by redditors. 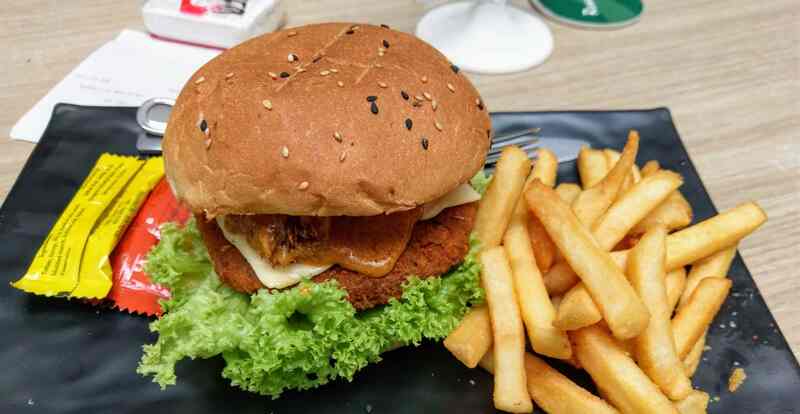 GoodyFeed even described the burger as “synonymous with growing up as a child in Singapore”. Now, there is little way to tell if the votes are simply a meme vote (votes meant as a joke), but it makes sense. EVERYBODY loves fried chicken, and everybody has to poop. I’m not saying that the McSpicy is Singapore’s best to offer in terms of a culinary experience or a must try, but the burger definitely has a place in the stomachs of Singaporeans. 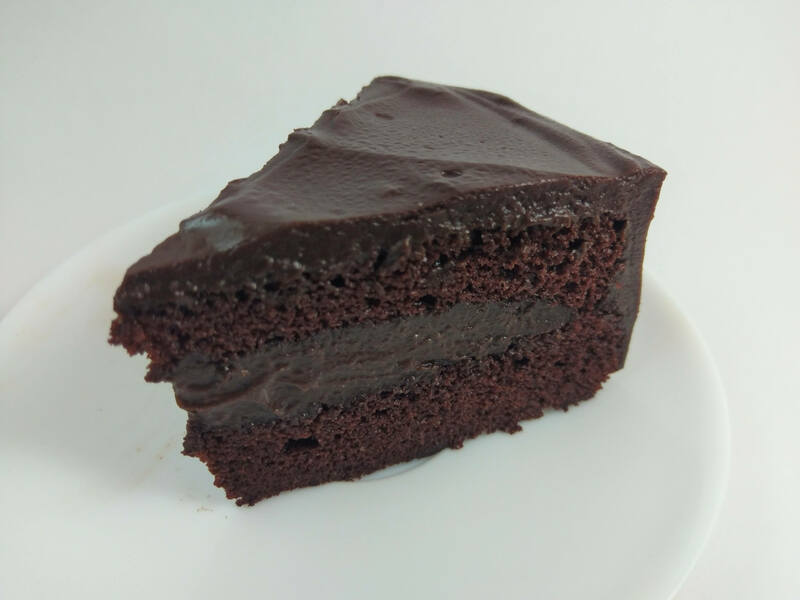 Nobody really talks about it and actively recommend it (especially to tourists), because it is not a bombastic amazing once in a lifetime meal, but everybody in Singapore has eaten it, and to a certain degree probably likes it in some unhealthy, fat way. When overseas, some might even start to miss the McSpicy (like this writer). I mean, there’s a reason articles like this mention McSpicy when talking about spicy food in Singapore. To create an analogy, it is the Singaporean equivalent of what “dirty water hot dogs” are to New York City. As Anthony Bourdain had said about the hot dog, “It’s what we do.” and “not the best by any stretch of imagination”. 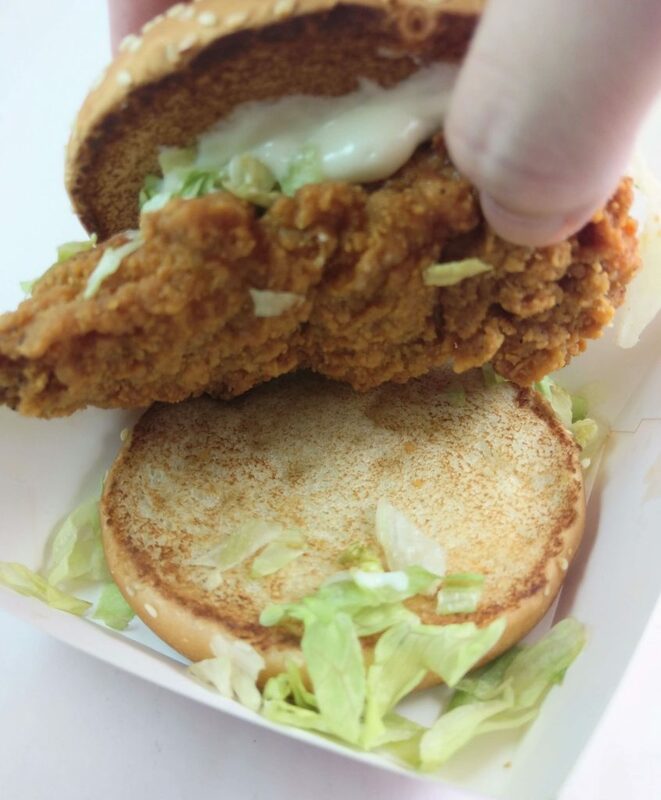 McSpicy isn’t the best fried chicken burger by any means, but it’s what we do. What do other people think of the McSpicy? 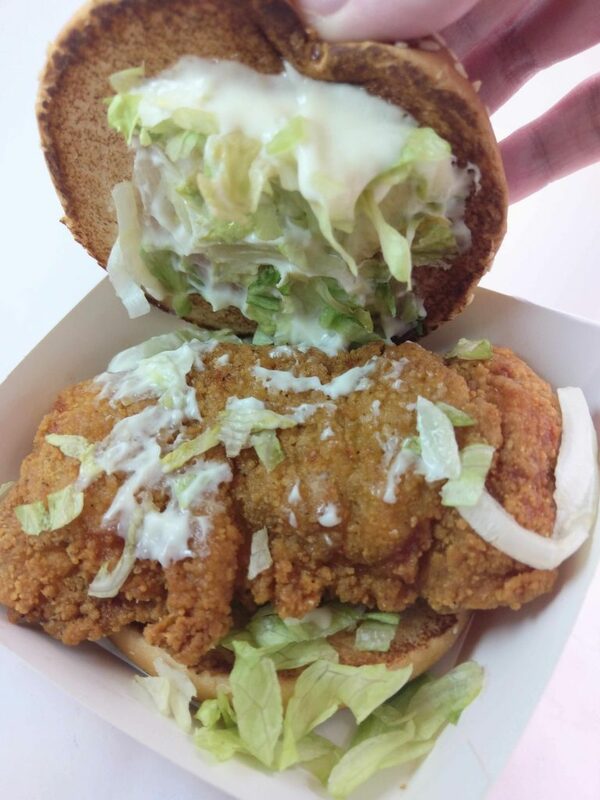 It’s a simple burger, as far as fried chicken burger can go. 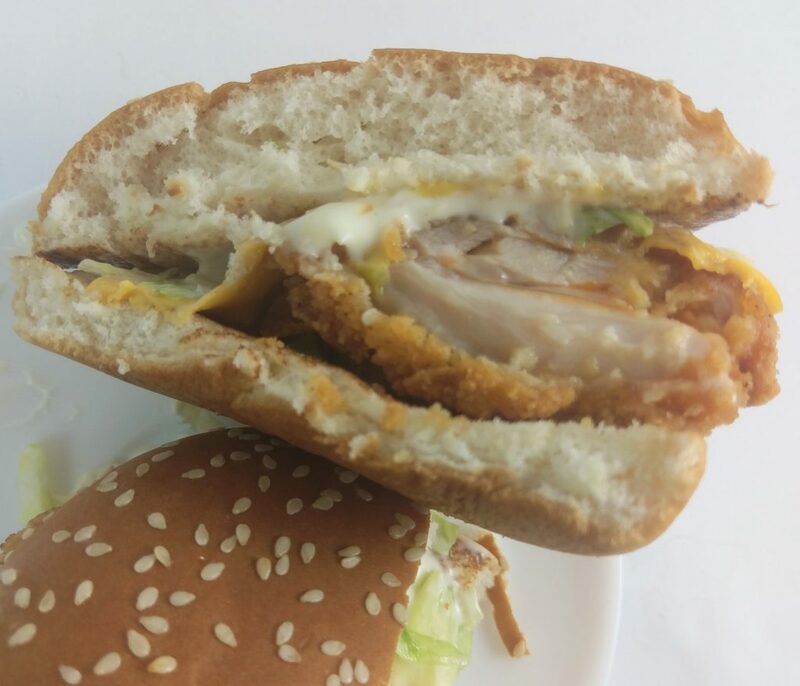 McSpicy was created in 1999, and soon became one of THE menu items that people go to McDonald’s for. Toasted sesame buns go on the top and bottom. A slather of mayonnaise, handful of crunchy lettuce. And then a fried chicken thigh patty, marinated in spices. While I do not know the exact spices, according to a comment in this thread, Chili and Paprika are part of the ingredients. The spice is a lingering spice that stays throughout the mouth, though diminishes quickly as you get used to it. I can see if people who don’t eat spicy things at all find this spicy, but for people who are used to adding a bit of heat will not even sweat. The mayonnaise and lettuce takes off a bit of the heat, as do the buns. 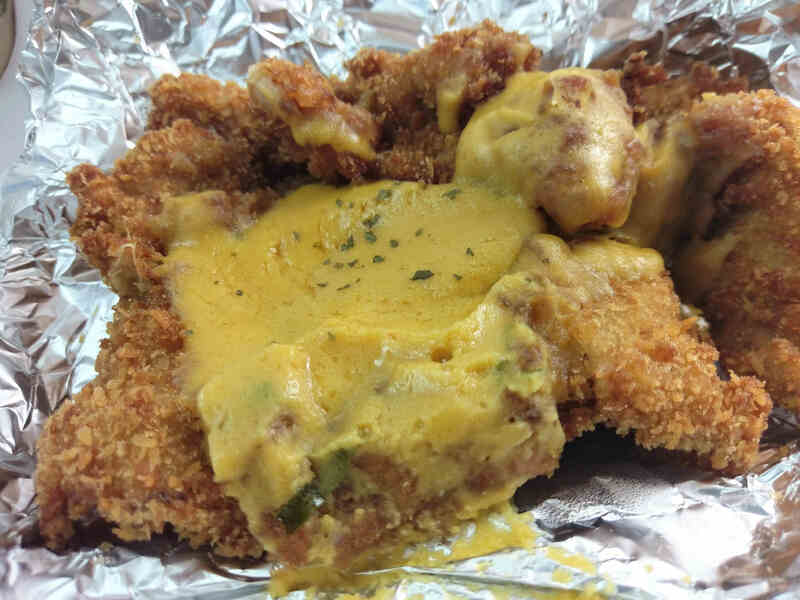 Chicken itself is almost a crunch, due to the thick batter. Well marinated, a freshly prepared McSpicy, made with chicken thighs is juicy and flavorful, though it might be a bit on the salty side. 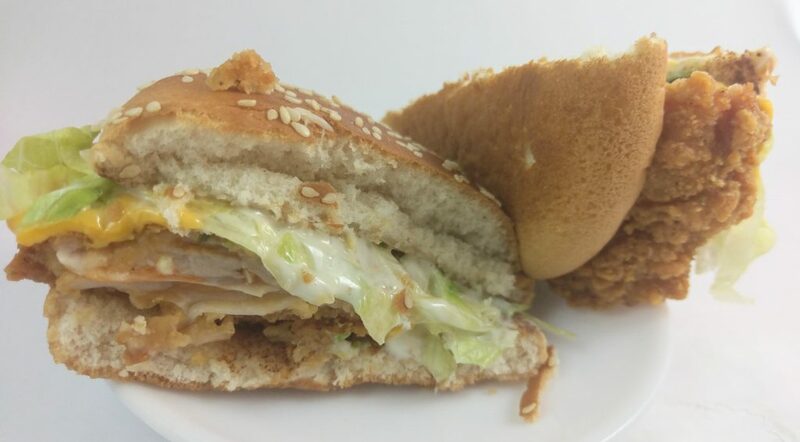 While it isn’t the best chicken sandwich, it easily satisfies cravings for fried chicken burgers/sandwiches. Contains Eggs, Soy Bean, Wheats, Gluten, MSG. Eating McSpicy gives you diarrhea. It is a ritual and a challenge to the eater. While to most Singaporean palate the spiciness is almost nothing in taste, the real trial is on the next day. One would enter a war zone in one of civilization’s oldest, but greatest symbol of privacy, right to sanitation, and reminder that humans are all but the same. When placed in a losing position, combat can be a humbling experience. No human can defy the needs of the body to secrete waste, and challengers of the McSpicy eventually succumb to defeat in the form of sitting for a good amount of time. I also think the fact that people who eat the McSpicy did it willingly despite the risks say something about the importance of food in our culture, but maybe I’m thinking too much. As someone who has a pretty weak stomach, eating the McSpicy crippled me for about half a day the next day. 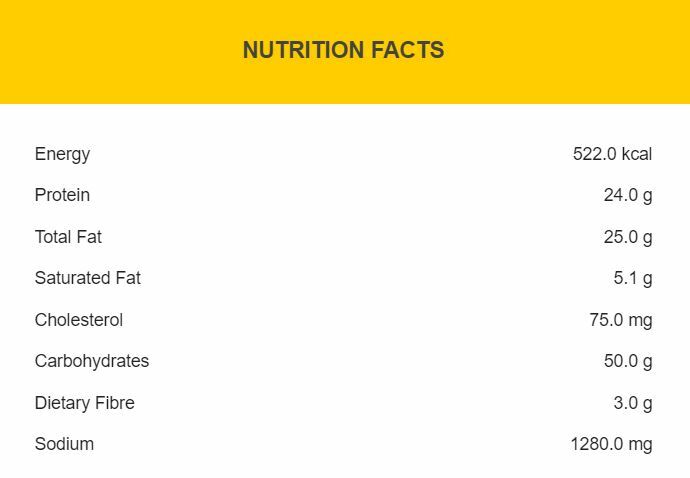 One might even go so far as to say that the McSpicy is a laxative. As for when the McLaosai became a common name I can’t tell, but Laosai is Hokkien/Teochew for diarrhea and it is easy to see that the usage of the term simply spread through casual conversations. McSpicy is simple, but people aren’t satisfied with simple. 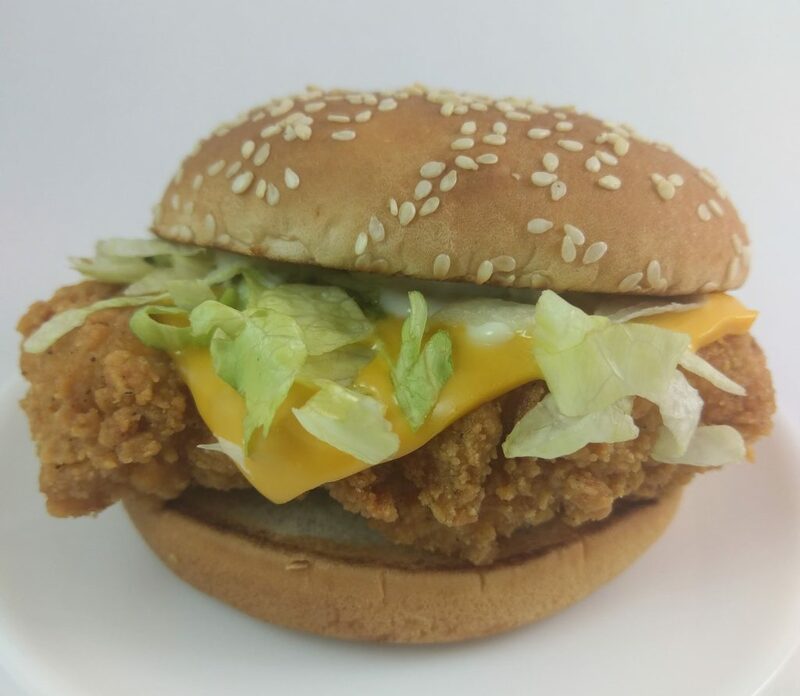 Urban legends has it that McSpicy is best eaten by adding cheese. Swap the buns for steamed buns (the same buns that Filet o Fish uses instead of the regular buns). If you are feeling crazy you might even add an egg. OR even call for the Double McSpicy with extra cheese. In order to achieve the dream of that fully upgraded McSpicy, I had attempted to replicate what some people order. But alas, I was denied access to that by the McDonald’s cashier. Thus, I have no idea if only some McDonald’s can offer you that, or if it genuinely doesn’t exist anymore. But for now, due to the effects of McSpicy on my stomach, it is probably something I will never eat again unless I experience constipation. 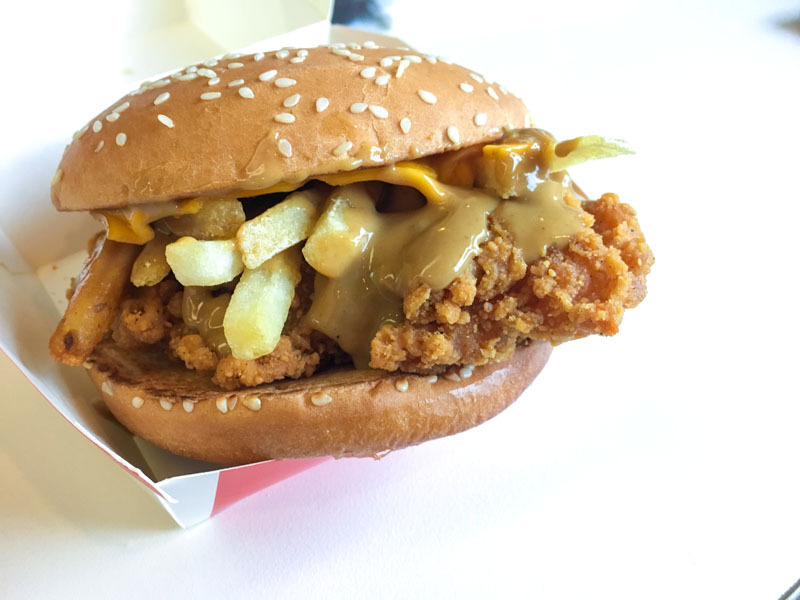 If you’re wild, the most you can do now is probably just pour curry sauce and cheese over the McSpicy. If you do get a meal, DO NOT forget to get curry sauce and McDonald’s chili sauce. In terms of restaurants that give packaged chili (I’m including non-fast food restaurants), few can come close to beating McDonald’s garlic chili sauce. The curry sauce had a bit of a saga, so it is less good compared to before (due to the removal of peanut as an ingredient), but it is still pretty tasty (though it isn’t really curry like, more on the sweet side). Little sane people seems to write about it. Attache thinks that the burger is delicious. 2 from BuzzFeed seems to like it. TravellingMcds gave it a 2.5/5, and didn’t feel that the burger is spicy enough.